I delayed writing, not wanting to initially pile on, about the incident that occurred in New York City on Sunday, Sept. 29, involving an SUV driver and some motorcyclists. But, I’ve received a number of emails on the topic and thought now was an appropriate time to weigh in. 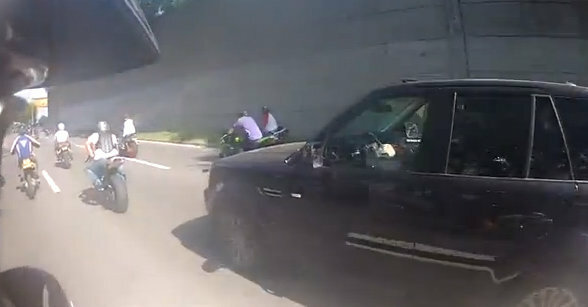 You might recall that the video (which was recently pulled down from YouTube), showed a dude riding a white sport bike who clearly pulled in front of the SUV and “brake checked” the driver. The SUV is surrounded by bikers and had little space to maneuver, and bumped the white bike. That seemed to be the issue that sparked a number of poor choices. Later the rider was arrested and charged with “reckless endangerment, reckless driving, menacing and endangering the welfare of a child” and then bailed out. My first thought is that if a rider chooses to brake check a SUV on a 3-lane highway within a few feet of the front bumper… getting hit is a reasonable expectation. No motorcyclist deserves to get hit by a car and I’m not advocating the SUV driver was right in doing so. There are a number of other videos posted by the same guy who put up that original SUV video, which indicates that riders were rolling down the sidewalk at speed, blowing a dozen red lights en masse, traveling on the wrong side of the road, and surrounded and beat on a Toyota Prius. It was an average Sunday afternoon motorcycle ride that started as a celebration to mark the end of the summer. However, prior to the SUV incident, the police got notice of the massive riding group and set up checkpoints to inspect bikes and their riders at bridges and tunnels going into Manhattan. At least 15 people were arrested (mostly on vehicular charges), and 55 motorcycles were impounded which actually served to help break up the massive informal ride and sent splinter groups riding off in different directions. We’ve all seen these “street stunt rides” where 100’s of motorcycles are observed forcing vehicles to stop or move to the side of the road while riders perform various “stunts” and record each other to then post onto the Web. Unfortunately they’ve become fairly common. I wasn’t there, but I was troubled by the serious injuries caused by the SUV driver and the escalating actions by some of the motorcyclists who apparently decided to take the law into their own hands. There is an estimated 27 million motorcyclists in America. This incident, fueled by the media sensationalizing the story has helped create a false image of all motorcyclists in the general public and truly damaged the recreational sport. Like many of you, I ride responsibly and do my part to represent motorcycling in a positive light. And many of us who ride support rider education and are involved in rides to raise funds for charitable causes in our community. Having a good friend recently be involved in a motorcycle accident with an automobile driver trying to “beat a red light” has made road safety, especially for motorcyclists, an acute concern to me and I don’t support the actions of this riding group. On so many levels these motorcycle riders were wrong PERIOD. Nobody deserves to be hit and the guy in the SUV might have been able to defused the situation, but not being there or knowing his frame of mind about the safety of his family, it’s not unreasonable to expect the SUV driver to panic and take off when surrounded by dozens of angry guys who have been riding very aggressive and reckless. To date, four motorcyclists have been arrested with more arrests in-flight over this incident. I would anticipate they will be used as a legal poster-child for a gang-like assault in court. Photo courtesy of YouTube screen grab. In Oregon, support for a ban on smoking in cars with kids is well on its way to the Governor. Senate Bill 444 which passed the Oregon Senate last week would allow police to ticket drivers who were caught smoking in their car if anyone under 18 was present after they were pulled over for another offense. It’s another example in a long list of arbitrary and capricious “nanny state” regulations, but it passed easily. The action is no different than what the “Soda Jerk” – NYC Mayor Michael Bloomberg – has attempted by imposing his will for the sheer sake of being a true believer in the lifesaving consequences of HIS health agenda. It would be similar to – and I hate to even provide the idea – the Portland Mayor forcing top-shelf restaurants such as Andina and The Chart House to no longer serve bottles of wine as a way to fight alcoholism. Independent of what I think about this second-hand cigarette smoking measure, I’m unapologetically against “nanny state” regulation and government highhanded scolding through regulation. These so-called “substantive bills” seem to have no limit to the government imposing their will for the sheer sake of it. But, I’m not blogging to rail about poor parenting skills, or scold people for excessive Cherry Coke consumption or promote a car smoking ban. Rather, once the regulators keep kids safe from second hand smoke where do their idle hands focus next? Likely on our bedrooms with unmanned vehicles spying monitoring from the back yard patio?! According to this report (.pdf) only nine % of Oregonians think the government spends money wisely. The fact that state legislators spent any time on a second-hand smoke issue – which isn’t on anyone’s top 10 list – just amplifies the point. If a mental break is needed from addressing big issues like PERS reform, streamlining the tax code or fixing the corrections budget, take some time to ponder the number of Oregonians who are effected by road conditions. As regulators race to Salem complaining about drivers on their cell phones “parked” in the left lane… slow down and look at the poor conditions of the pavement. I invite you to check out the pavement on OR 217, where fewer than 100K+ vehicles travel daily. It’s so severely rutted that sections are dangerous for motorcycle travel. Automobiles changing lanes pepper cars with loose asphalt from the rutted right side to the rutted left lane and bounce around until they settle into the ruts. It’s worse during the rain… which is 300 days of the year! The last time major repaving occurred on OR 217 was back in 2006. Prior to ‘06 it was repaved in 1994. There are sections of OR 217 that should be classified as “structurally deficient” and signs should be erected in places similar to the “Motorcycles Use Extreme Caution” in Washington State. The funding and road repair priorities in the state are a big issue. The second-hand smoke while driving bill is nothing but a distraction and disguised to make voters believe regulators are doing something in the capital. UPDATE: March 28, 2013 – The Oregon Legislature tried to pass a similar smoking bill (HB 2385) in the 2009 session. And according to this report seven states currently ban smoking in automobiles with children under the age of 18 years old. Interestingly, there are currently 17 states which ban smoking in vehicles while transporting foster children, including the state of Oregon. The report provides a number of reasons to support smoke-free vehicles when children are present. 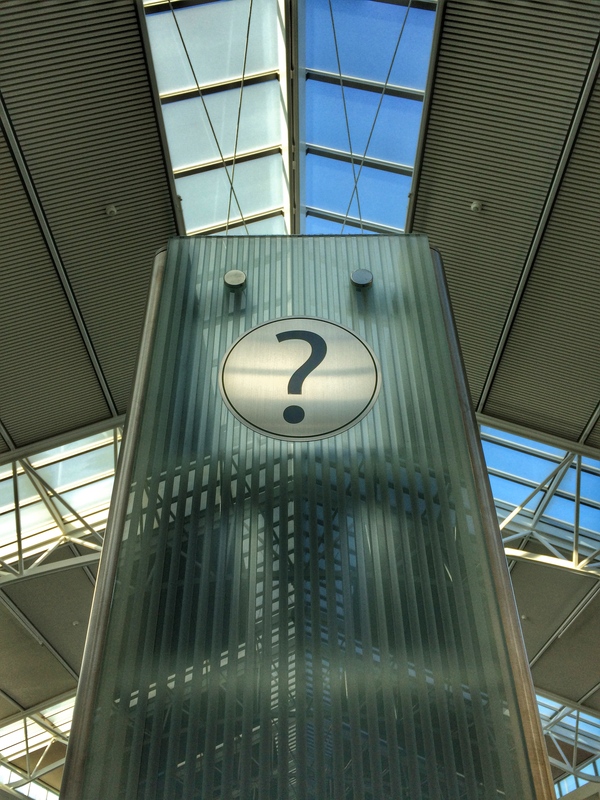 UPDATE: June 4, 2013 – The Oregon House yesterday passed Senate Bill 444 in 43-15 vote against the objections of some lawmakers who groused about it as a “nanny state” provision. The bill will allow police to ticket smokers if the were pulled over for another offense. The violation would cost $250 for the first offense and $500 for subsequent offenses. The bill now heads to Gov. Kitzhaber, who has said he will sign it. 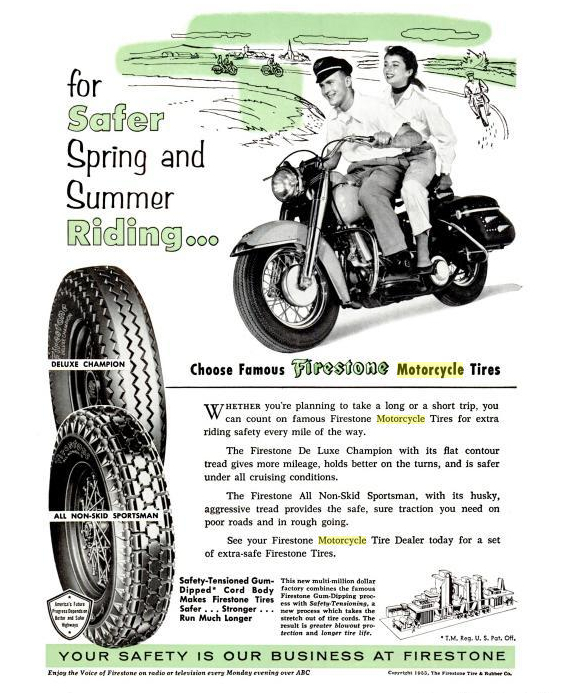 Photo courtesy of Firestone. Full Disclosure: As an aging blogger and survivor of smoking parents and lifelong non-smoker myself I’m sure the Smithsonian will be looking for a location to display my corpse. The attacks of September 11, 2001 shaped the nation and the course of history. Prior to this date most people would not have considered the possibility of an enemy attack on U.S. soil. Nine years later it’s easy to forget that 2,749 lost their lives and seven buildings were destroyed. Recently President Obama announced the withdrawal of 90,000 combat troops from Iraq, marking the “end of America’s combat mission”, but who would have believed we would have a death toll of over 4,000 troops from the two wars? I recall the events not to dwell on the tragedy, but to pay tribute to those who lost their lives, to honor the veterans and to remind myself that terrorist fanatics want to destroy the very principles of freedom and democracy that I write about on this blog. Sure the posts are slanted toward issues more relevant to motorcyclists, but it’s the same principles of freedom none the less. We all remember where we were and what we were doing that day. After watching the towers collapse, seeing the Pentagon and the western Pennsylvania crash I remember feeling a sense of desolation and anger. But, I also remember how proud and inspired the first responders as well as Rudi Giuliani made me feel by their actions. I remember the World Series just 6 weeks later in New York, the opening pitch by George Bush and a stadium full of people determined to not let this act change everything. And speaking of freedoms, I’m not even a little conflicted about the $100M development of a mosque near ground zero. I think it’s in poor taste and no matter how you spin it; the people behind the mosque are using our open arm kindness as a weakness. And here is where hipsters will inundate my inbox with missives telling me I don’t know jack, that I’d better do the public a favor and stop writing, but pure and simple it’s an insult to the victims of 9/11. There are and will be many motorcyclists paying tribute on September 11th. There is “America’s 9/11 Ride” that raises money for families of active-duty first responders’ children. There is the “Ride With The 40” which honors the hero’s of Flight 93 and lots at a the local level. 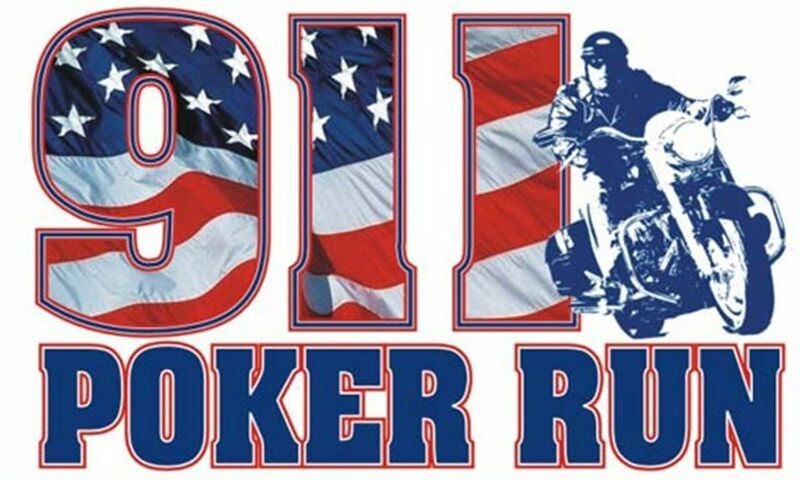 Here in the northwest is the 18th Annual Sunset HOG 9/11 Poker Run which is open to all flavors of motorcyclists. I’m not sure yet if I’ll just watch a documentary or participate in one of the rides. I plan to do something to support the victims and remember the attack. Photo courtesy of Sunset H.O.G.